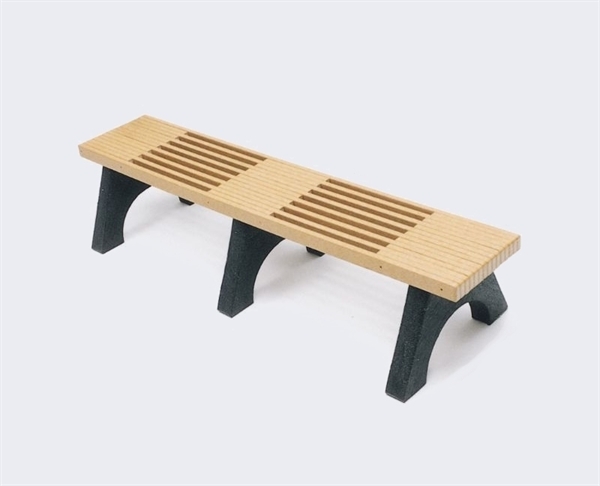 This 6 foot recycled plastic bench features a distinctive slat design and solid recycled plastic frame. The color of the bench comes as shown with black frames and cedar slats. This bench ships fully assembled for convenience. Recycled plastic outdoor furniture is ideal for high traffic areas such as schools and parks, as they are low maintenance.